I talk about the topic of positive thinking and renewing the mind a lot. I think there is one important action about this concept that makes all the difference in successfully renewing the mind; surrendering our thoughts to Christ. I recently watched Passion of Christ and Son of God. I know movies aren’t always accurate but I like seeing stories from the bible acted out. The part that stood out to me in both movies, as well as in the bible, is the grace Jesus showed after people willingly opened their hearts to change. When we take matters of change into our own hands things can go terribly wrong. When we openly tell God our struggles he is able to help us think right so we will have the ability to do right. Think right! 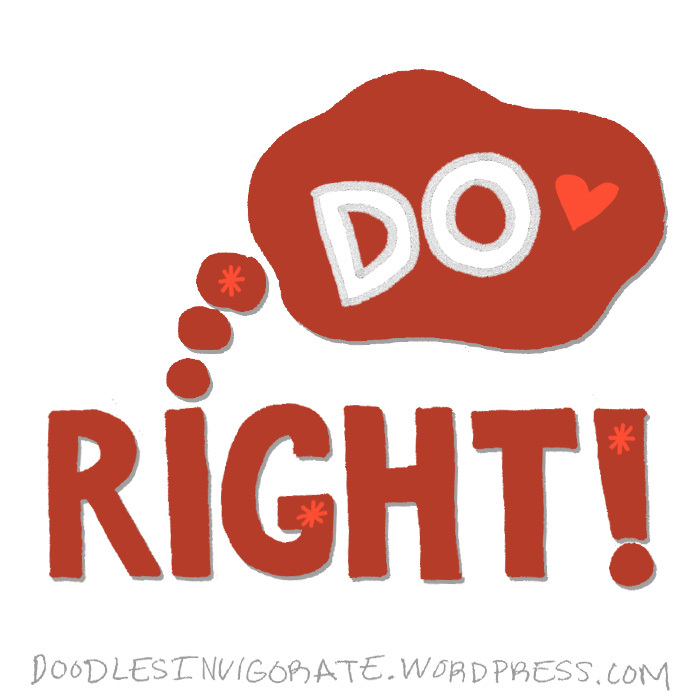 Do right! I simply adore your creativity & how God is woven in so wonderfully. You have a beautiful heart for Our Lord! Keep using the gifts He has given you, all for His glory! Hugs n’ Blessings! Thank you so much, dawn. Your blog is also a pleasure to read and very fun! Many blessing to you on your journey!